Home > News > Pick and Mix versus Packaged Items? The concept of pick and mix has always been there, but many product manufacturers would prefer to sell items in bulk than to sell them individually. In the online world, this has given birth to a world of wholesale resellers who purchase items in bulk from the manufacturer. These are then sold in smaller quantities or individually on Amazon or eBay. But can brick and mortar retailers capitalise on this market, or is it simply not cost-effective in the physical world? 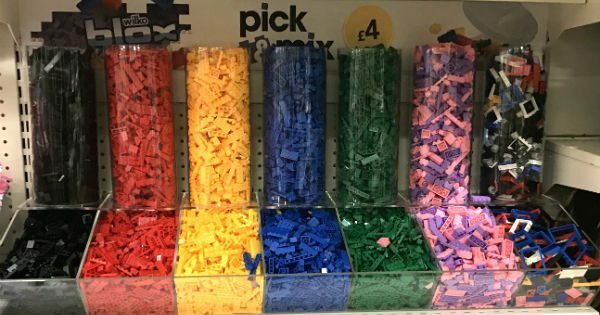 Perhaps it sounds a bit romanticised, but on a very basic human level, pick and mix is exciting and engaging for customers. As the population grows, people feel like they are losing their individuality. Because of this, the smallest opportunities to give that individuality back to them can feel so much more significant. You may not even realise the options you already have when you're in a retail shop or grocery store. At the store, you can put together a box of a dozen identical donuts or mix it up with different ones. If you're in a hardware shop, you can purchase a random assortment of screws and other fasteners to fit the project you're working on. At craft stores, you can get fabric cut to specific dimensions and only pay for those dimensions. But is it worth it for the brand or shop owner to sell some products this way? Candy People, is a company that provides an assortment of confectionary that is sold by weight. They say that consumption of their sweets increases when they sell them all for the same price. Customers are able to pick and mix from a large variety of candies and sweets. Then proceed to weigh them, and purchase all of the items for a single bulk price. The company also state that using the right kind of bin display typically leads to a 30% increase in sales. Besides candy, stores of any size can make use of the same kind of pick and mix display for a variety of products. Whole bean coffee and loose tea leaves allow customers to customise their coffee or tea experience. Cereal is a unique opportunity for pick and mix because the idea of mixing cereals together is already quite popular. If you haven't mixed Rice Krispies and Frosties together, you simply haven't lived yet. The trade-off for this added experience is the additional staff needed to maintain the display. Part of this can be alleviated by taking advantage of display options that allow you to fill the product from the back. Doing so prevents the need to constantly rotate stock. However, larger stores may find it difficult to keep a staff member monitoring pick and mix sections. The result can be a range of quality issues. The kinds of products to sell this way is, of course, limited to products that offer variety with similar prices. Some pet stores have bulk sections for treats, but the variety of treats can sometimes make it difficult for the store to charge a single bulk price. This can quickly turn what should be a convenience into a confusing experience for customers. Even after considering these concerns, it's easy to see the potential for pick and mix to be a positive experience that will enhance customer loyalty. Whether it's mixing cereal or tea leaves, your customers will likely appreciate the added choice. 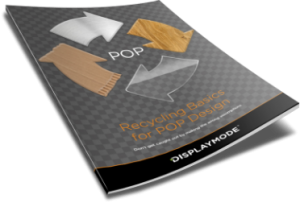 DisplayMode has the experience in developing creative and functional POS items to help you take advantage of this growing trend. Call us today, on +44 (0) 1536 460805, to discuss customisable designs that will help boost your sales.